I was recognized for my New York environmental work with a Proclamation by the New York City Council on November 14, 2018 in the New York City Council Chamber. Councilwoman Inez Barron nominated me to receive the Proclamation. I have decided to recognize an AAEA member by letting her display the Proclamation at her residence. I do this because Strauss Moore -Shiple went above and behind the call of duty by organizing a number of friends to attend the event and to celebrate with us in the Hamptons for two days after the event. Weirdly, a snow storm hit just as we were leaving Manhattan and a three hour drive took nine hours. Strauss Moore-Shiple drove. Thank you Strauss. You helped to turn a simple proclamation ceremony into a grand adventure. This was one of the most exciting adventures of my life. And thanks to Strauss, I was able to share it with many of my best friends. Note: Newly elected New York State Attorney General Letitia James is seated in the photo between Betty and me. She was the New York City Council Public Advocate and attended the ceremony in that role. On November 14, 2018 the New York City Council presented AAEA President Norris McDonald with a proclamation recognizing his environmental work. Aurelia Skipwith currently serves as Deputy Assistant Secretary for Fish and Wildlife and Parks in the Department of the Interior, where her team is responsible for ensuring the protection and stewardship of lands and waters within the national park and wildlife refuge systems. Previously, she served as Assistant Corporate Counsel at Alltech, Inc.
She is a lawyer and a former executive of agrochemical company Monsanto where she was in research for six years and led a team that brought new agricultural products to market. She later moved into into corporate affairs. Skipwith interned with the US Department of Agriculture and was briefly a consultant for the US Agency for International Development’s food security bureau before working again in agribusiness. The New York City Council has announced that AAEA President Norris McDonald will receive a Proclamation recognizing his environmental work at a ceremony on November 14, 2018 at noon. AAEA was founded in 1985 and established a New York Office in 2001. AAEA has been a leader in fighting for clean air for the City and authored the City’s Environmental Justice Law. Council persons Charles and Inez Barron introduced the environmental justice legislation that was eventually signed into law. Norris McDonald joined the environmental movement in 1979 and we have spent a significant amount of our time and energy working for environmental protection in New York. Dan Durette has been the Director of the New York AAEA Office since its founding. AAEA seeks to realize the initial promise of the environmental justice movement. At the top of our agenda is the health of all people. A healthy person is a happy person. A healthy populace is a happy populace. A happy populace is more inclined to pursue policies that continue to enhance societal health. Thank you for your registration in the SCE Proposal Evaluation & Proposal Management Application (PEPMA) website database. SCE would like to announce a competitive request for proposal (RFP) for The Disadvantaged Communities – Single-family Affordable Solar Homes (DAC-SASH) Program for all Investor Owned Utilities (IOUs), event number 153-10192018. The Program Administrator (PA) will administer The Disadvantaged Communities – Single-family Affordable Solar Homes (DAC-SASH) Program.The program provides financial incentives for the installation of solar energy photovoltaic (PV) systems on single-family housing properties throughout California. The primary role of the PA is to support the Energy Division (ED) of the California Public Utilities Commission (CPUC) in developing, implementing, and managing the Commission's adopted Program under the guidelines as established in decision 18-06-027. PA will provide Commission Staff and its consultants with Program updates, maintain records regarding Incentives, and collect project-level data. A more detailed list of required responsibilities can be found in the RFP event Work Specifications. Please review and follow the direction in the PEPMA RFP event. The event will soon be active in the Proposal Evaluation & Proposal Management Application (PEPMA). Please be cognizant of the event schedule. Bidder Conference is held according to the date/time identified in the RFP Timeline. The Bidder Conference attendance is optional and will be held online by webinar. Pre-registration is not required. Skype meetings MAY be recorded only if the presenter enables the recording feature AND initiates recording. If the meeting is being recorded, you will be warned and you may either consent to recording by staying on the call or hang up and contact the meeting organizer. The U.S. Environmental Protection Agency (EPA) proposed a new rule entitled the Affordable Clean Energy (ACE) Rule. ACE establishes emission guidelines for states to use when developing plans to limit GHGs at their power plants. The ACE Rule replaced the prior administration’s Clean Power Plan (CPP). EPA says the rule could cut cut electricity prices by 0.2% to 0.5% around 2025. The EPA's own analysis of the Trump administration proposal also estimated that it will lead to an increase in pollution-related illnesses, like asthma, and a rise in premature deaths. Shell built the world’s second floating LNG facility in 2013. 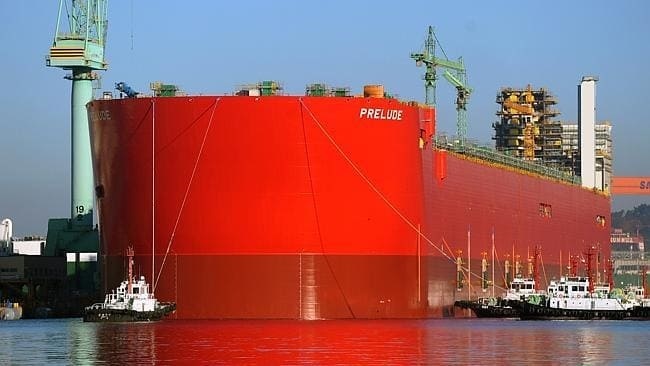 Prelude weighs in at 600,000 tonnes, which is six times the weight of the world's largest aircraft carrier. Prelude, a "floating liquefied natural gas facility" is 1,600 feet long and 243 feet wide. That makes it the biggest ship in the world. As a floating natural gas facility, it will be posted off the coast of Western Australia for 25 years, acting more like a platform than a mobile vessel. The ship will be anchored to the sea floor with a 93-metre-tall turret while it processes 175 Olympic swimming pools' worth of liquid natural gas year-round. Gas will be harvested from the ocean, processed on board and then transferred to transport ships. The ship could be supplied by pipelines from the mainland. In the past, offshore gas had to be piped onto land and liquefied in shore side plants. But with the mega-ships, offshore LNG can be processed on site. Prelude has three 6,700-horsepower engines, giving it the combined power of about 152 cars. The ship floated out of dry dock for the first time in late November 2013. It began its job off the coast of Western Australia in 2017. Prelude was built by the Technip /Samsung Consortium (TSC) in South Korea for a joint venture between Royal Dutch Shell, KOGAS and Inpex. It is made with more than 260,000 tonnes of steel. At full load, it will displace more than 600,000 tonnes, more than five times the displacement of a Nimitz-class aircraft carrier. The hull was launched in December 2013. The main double-hulled structure was built by the Technip Samsung Consortium in the Samsung Heavy Industries Geoje shipyard in South Korea. Prelude FLNG was approved for funding by Shell in 2011. Analyst estimates in 2013 for the cost of the vessel were between US$10.8 to 12.6 billion. Shell estimated in 2014 that the project would cost up to US$3.5 billion per million tons of production capacity. The Prelude FLNG system will be used in the Prelude and Concerto gas fields in the Browse LNG Basin, 120 mi off the coast of Australia; drilling and gas production are both expected to begin in 2016. It has a planned life expectancy of 25 years. The Prelude and Concerto fields are expected to produce 5.3 million tonnes of liquid and condensate per year; this includes 3.6 million tonnes of liquified natural gas, 1.3 million tonnes of condensate, and 400,000 tonnes of liquified petroleum gas. Natural gas will be extracted from wells and liquefied by chilling it to −260 °F. The ability to produce and offload LNG to large LNG carriers is an important innovation, which reduces costs and removes the need for long pipelines to land-based LNG processing plants. It will produce 110,000 barrels of oil equivalent (BOE) per day. President Donald Trump ordered his Energy Secretary Rick Perry to take immediate action to stem power plant closures, arguing that a decline in coal and nuclear electricity is putting the nation’s security at risk. Impending retirements of fuel-secure power facilities are leading to a rapid depletion of a critical part of our nation’s energy mix and impacting the resilience of our power grid. AAEA supports President Trump's order and we look forward to promoting Energy Secretary Rick Perry's recommendations. It’s not clear that the Federal Energy Regulatory Commission would go along with the plan. Although the administration could aim to bypass the electric regulators completely, FERC could play a role in any effort to require grid operators to make out-of-market payments to electric generators. Trump’s directive comes as administration officials search for ways to extend the life of money-losing coal and nuclear power plants that face competition from cheaper natural gas and renewable energy. The plants are considered “fuel-secure” because they house coal and nuclear material on site and are not dependent on pipelines that can be disrupted, wind that stops blowing or a sun that sets. The department’s strategy, outlined in a memo that would use authority granted under a pair of federal laws to establish a “strategic electric generation reserve” and compel grid operators to buy electricity from at-risk plants. The steps are necessary to protect national security. The move comes as Trump uses similar national security arguments to justify market interventions aimed at protecting other treasured political constituencies -- steelworkers and automakers -- at the expense of U.S. allies. A FirstEnergy Corp. subsidiary requested immediate intervention from Perry’s agency in late March, after the Ohio-based company announced it would shut three nuclear power plants feeding the nation’s largest grid, operated by PJM Interconnection LLC. The American Lung Association (ALA) is the preeminent organization that is dedicated to protecting our lungs. As such, the ALA should support nuclear power because it is the preeminent emission free electricity generator. The African American Environmentalist Association (AAEA) decided to support nuclear power in 2000 principally because it does not produce smog forming or greenhouse gases. AAEA also believes nuclear power represents a tool for achieving environmental justice in vulnerable communities suffering from disproportionate amounts of air pollution. The American Lung Association strongly supports measures to prevent lung disease, reduce the incidence and exacerbation of lung disease. The American Lung Association believes that protection of lung health and a sound U.S. energy policy are compatible goals that require an emphasis on energy conservation, energy efficiency, and the use of cleaner energy resources, including a transition from coal and oil to cleaner alternatives. Our overarching principles call for the implementation of effective air quality programs and standards, transitioning to a clean energy future, with a commitment to promote environmental justice. ALA should include nuclear power in emphasizing technologies that are compatible with protection of lung health and sound U.S. energy policy. Because nuclear power plants do not emit the nitrogen oxides, volatile organic compounds, and particulate matter, all precursors to ozone production and smog, the technology, by its very nature, is a friend to our lungs. The American Lung Association recognizes that energy and transportation sources of air pollution are often located near where many people, especially communities of color or lower income, live and work, which means their exposure to pollutants emitted can be more immediate and disproportionately harmful. The American Lung Association recognizes that, for many reasons, people in those communities also face a greater burden of lung disease, making them even more vulnerable to these pollutants. The American Lung Association supports the formulation, execution and enforcement of health and environmental laws and policies to address these factors, clean up contributing sources and reduce such exposures. The American Lung Association will work to reduce the disproportionate health burdens borne by economically disadvantaged and politically disenfranchised communities. In terms of baseload electricity generation, nuclear power is the best way to power society with the energy it needs while reducing air pollution exposures. If ALA wants to work to reduce the disproportionate health burdens borne by economically disadvantaged communities, it should aggressively promote the continued operation of our nation's nuclear fleet. AAEA has a long history of promoting nuclear power to mitigate environmental injustice. We have promoted environmental justice and nuclear power as complements in California, Illinois, New York, New Jersey, Virginia, and Mississippi. We have presented testimony before the Nuclear Regulatory Commission (NRC), state legislatures, state agencies, and city agencies. AAEA drafted and led the fight to pass the environmental justice law for New York City. Before nuclear generating capacity is expanded, the American Lung Association believes that two key thresholds must be met. First, the expansion of capacity must be economically viable without direct government subsidies. Second, the nuclear industry must demonstrate that it can reduce the continuing risks to safety and the environment. The American Lung Association supports measures to improve the health and safety of uranium mine workers, and the communities where they live, including protection from harmful air pollutants. All energy sectors receive government subsidies and will continue to receive such support. Nuclear power competes for these subsidies just like the other energy sectors. Nuclear power has demonstrated its safety because not one person in the United States has died from a radiation accident at a commercial nuclear power plant. 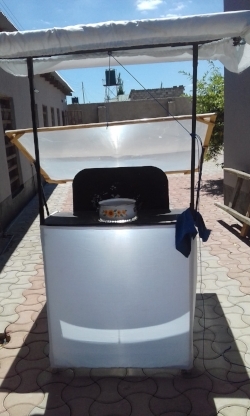 Moreover, considering how much emission free electricity the nuclear industry has produced over the past fifty years, it has to be considered a major benefit to the environment. Mining safety has improved since the early days when our nation was rushing to utilize uranium for military purposes. 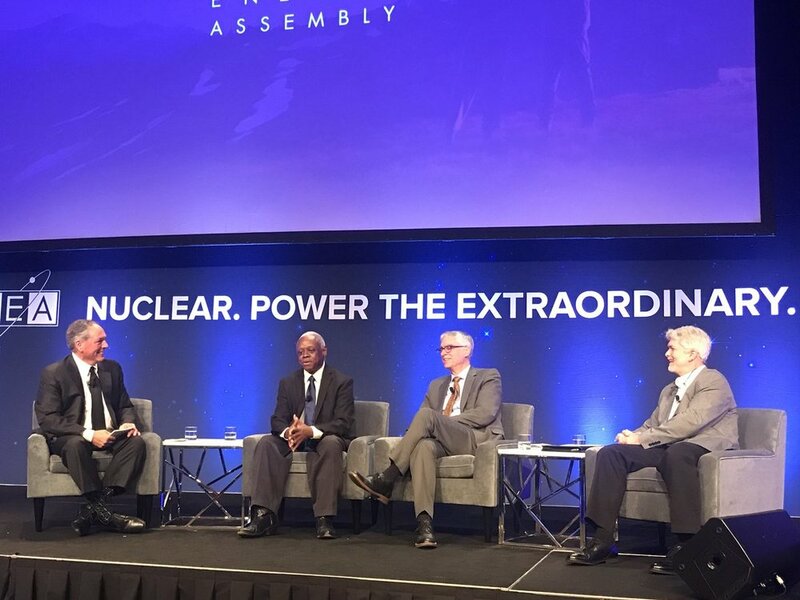 AAEA President Norris McDonald participated in the Nuclear Energy Assembly (NEA) conference in Atlanta, Georgia on Tuesday, May 22, 2018. It was the Nuclear Energy Institute's 65th Annual Industry Conference and Supplier Expo. The Nuclear Energy Assembly (NEA) is the yearly conference of the nuclear technologies industry that brings together industry leaders from all levels. Joined with the annual meeting of the North American Young Generation in Nuclear (NAYGN), this conference celebrates the future of nuclear energy. 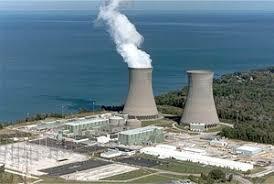 "Why a Sustainable America Will Be Nuclear Powered"
New Jersey Gov. Phil Murphy signed a bill on Wednesday, May 23, 2018 that will save two struggling nuclear power plants in the state. 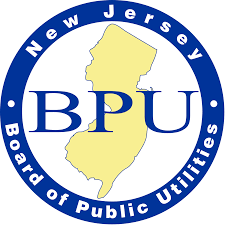 The legislation would require utility customers to spend more than $300 million a year to rescue nuclear power plants run by Public Service Enterprise Group (PSEG). Murphy signed the nuclear legislation as well as measures boosting wind and solar energy, mandating that half the state’s energy come from renewable energy by 2030. AAEA presented testimony in support of the legislation in December 2017 and in February 2018. We also wrote a letter to the governor encouraging him to sign the bill. Illinois and New York also have moved to compensate nuclear plants for their zero-carbon value. New Jersey, with the other states, adopted zero-carbon energy credits, in which the state issues credits to nuclear plants for generating carbon-free power, which they can sell on the open market to raise revenue. For these reasons, we encourage Governor Murphy to sign the bill. 12) Blonnie Watson - ? Senate and House legislators in New Jersey passed S2313 and A3724, companion bills that will ensure the continued operation of the Salem and Hope Creek nuclear power plants in that state. Salem and Hope Creek power plants support more than 5,000 jobs, produce enough electricity to power 3 million homes per day and provide more than 90 percent of the state's zero-carbon electricity. The bills preserve more than $800 million in annual economic activity across New Jersey.